Bathroom Remodeling Peoria, IL | Kelley Construction Contractors, Inc. Whether you’re remodeling your entire bathroom or just making necessary bathroom renovations, transform your space with our design ideas and custom solutions. Looking to create a royal retreat that goes from functional to fabulous? Focused on increased efficiency and functional high performance? Custom bath solutions and trusted pricing are yours when you work with Kelley Construction. We serve the Peoria metro area and communities throughout Central Illinois, providing bathroom remodeling services that will increase the value of your home and give you a luxurious space to relax. Are you thinking of a particular bathroom renovation that’s not on the list above? No problem. Just give us a call today and speak with one of our bathroom remodeling experts. As a design-to-build contractor, we can handle just about anything you throw our way. 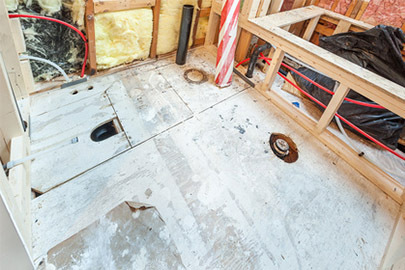 Whether small or large, bathrooms are actually complex spaces that require someone who is an expert in plumbing, electrical, carpentry, and construction. As your bathroom remodeling contractors, we can take care of everything. No need to hire various subcontractors to complete your bathroom renovation. Our goal is to satisfy your budget and your style by providing efficient services that will give you a quality, long-lasting bathroom. Contact us today to get your free bathroom renovation estimate.